Shipping News Feature UK – Associated British Ports (ABP), DFDS Seaways, and ICTS (UK) have been fined after a security guard was fatally injured when he was struck by an articulated vehicle. Hull Crown Court heard how, on 9 September 2015, a security guard employed at the container terminal at Immingham Docks, approached an HGV which was entering a gate and walked in front of the vehicle. The guard was not visible to the driver, either on approach to the vehicle or as he walked in front of it when he was dragged underneath as it turned towards a warehouse. He sustained multiple injuries and died at the scene. An investigation by the Health and Safety Executive (HSE) found Associated British Ports and DFDS Seaways had failed to carry out a suitable and sufficient workplace transport risk assessment, and had not considered the risks that vehicles entering, leaving and manoeuvring in the gate area posed to others. ABP required the security guard at the gate to stop traffic and check pedestrians and vehicles entering the terminal but failed to provide means to do so safely as there was no signage indicating drivers should stop and report to security, and no safe facilities. ICTS, which provided security on the site, failed to provide adequate training, and the risks of stopping traffic without any physical protective measures in place had not been considered. 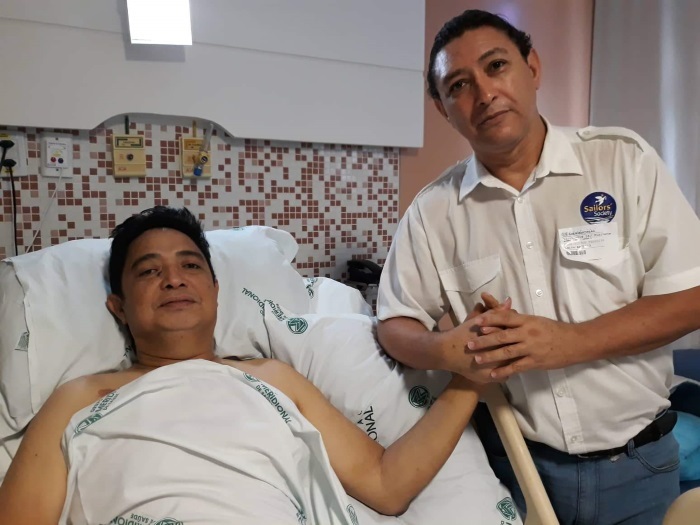 On the other side of the world the Sailors’ Society tells us an accident left a Filipino seafarer, Adriano Gicos, 55, recovering in hospital after fracturing his spine falling four metres from a ladder in a ships hold whilst on a voyage between Singapore and Brazil. Colleagues who witnessed the accident had to use a crane to get him back to his cabin and his serious spinal injuries needed surgery to enable him to ever walk again. Adriano’s recovery was described as a miracle after initially he only had the use of his fingers. Incidents such as these evidence the risks that exist for both seafarers and those who work on the periphery of the shipping industry no matter where or how they are employed.